Germany and Austria continue to experience problems due to the ongoing snowfall. The next few days, a lot of snow fall. Saturday there is slightly less snow, but in the days after falls in South-Germany and Austria again 60 to 150 inches of snow. Locally there are even more traps, reports Weerplaza. In the valleys the precipitation as rain and wet snow, but from a height of 1,500 meters and higher it goes to snow. Also in Switzerland is a lot of snow fall. Sunday is going to also blow hard. In the mountains a strong wind with gusts of over 100 kilometres per hour, increasing the risk of avalanches remains high. 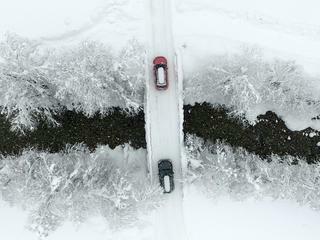 In the German state of Bavaria, where the state of emergency has been declared, five hundred additional agents to the area controlled where the snowfall daily life paralysed. “There is no reason for panic, but for concern”, said the Bavarian prime minister Markus Söder Saturday. The state of emergency lasts for sure yet until Tuesday. In total, more than five thousand policemen and soldiers deployed, mainly to the thick packs of snow from roofs, remove and collapse to prevent. The rain makes the snow heavier and increases the risk of collapse considerably. The extreme weather conditions in the Alpine region have this week been at least twelve deaths. In Austria, several villages from the outside world closed, roads are closed or very difficult to access. In ten days time, there is in some places more than 3 meters of snow.